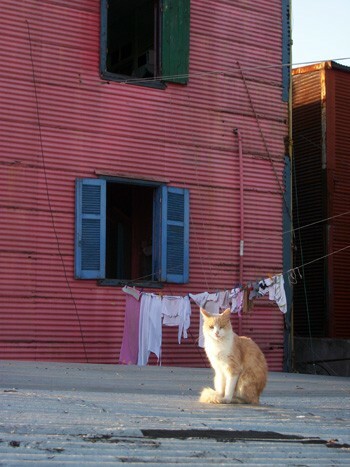 La Boca is a major sightseeing hot spot in Buenos Aires, but visitors rarely stay here at night. The ‘hit-and-run’ style tourism in the southern neighborhood causes some to write it off as a gimmicky tourist trap. If you peak behind the colorful façades though, La Boca is one of Buenos Aires’ most authentic barrios and it has been for a long time. 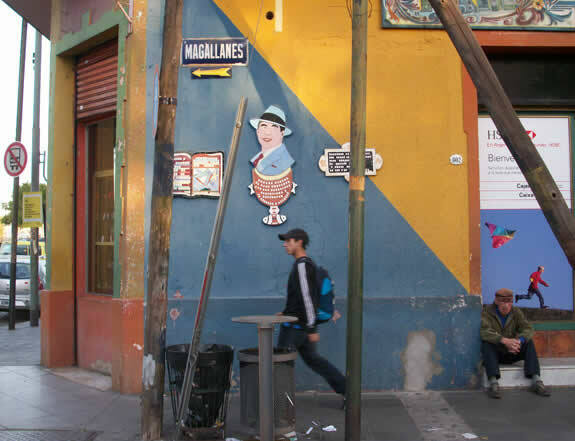 Due to the area’s early influx of immigrants and isolation from the rest of the city, La Boca has a rich cultural history and a long track record of community solidarity, social anarchist politics and a lively arts scene. At the end of the 19th century, La Boca was to Buenos Aires what Montmartre was to Paris — a sometimes seedy mecca for emerging immigrant artists, in their own little world apart from the city. As early as 1877 the Cosmopolitan, Philharmonic Friendly Society of La Boca formed to promote the arts and subsequently theaters popped up all over the district. There were also a number of neighborhood publications in Spanish and Italian, including El Ancla, El Riachuelo, El Progreso de La Boca and El Naciónal, a publication that lasted until the 1940’s. A few versions circulate about how the revolt happened. The most popular narrative is that in 1882 young La Boca residents, tired of receiving low wages, liberated themselves and raised the Genoese flag of their homeland. Although the history books make it seem as if it was a rag-tag effort, then-President Julio A. Roca gathered his army and visited the site to lower the flag himself. The lively politics didn’t stop the neighborhood’s growth, and millions of mostly European immigrants, many political exiles, would come through La Boca in the following years. In 1904 La Boca elected Alfredo Palacios to the Argentine congress. He was the first socialist representative in all of Latin America. Palacios had a long and fruitful career lasting until 1965. He was behind the creation of many Argentine labor laws, especially concerning women and children. Today La Boca is still a neighborhood with many immigrants, mostly Bolivians, Paraguayans, Peruvians and some Arabs, Africans and artists from other parts of Latin America. Some of La Boca’s homes are still conventillos (community style housing). As in nearby San Telmo, some of those are casas tomadas, or squats occupied by residents marginalized by their nationality, poverty and/or lack of education. The brightly painted homes (themselves the result of a 1950’s effort to revive the district), the overpriced restaurants and sidewalk tango dancers in the neighborhood’s epicenter are just a photo-worthy part of the bigger picture. The volunteer fire brigade of La Boca, founded in 1884, was the first to form in the country. Today the firefighters are still volunteers and are viewed as national heroes and the city’s quickest responders. 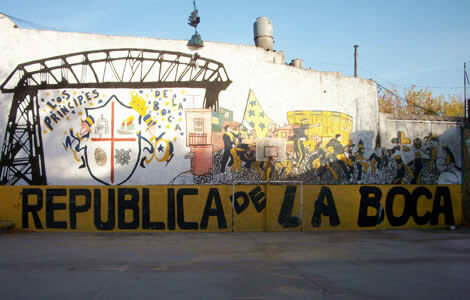 La Boca is also home to one of the country’s first community radio stations, La Boca 90.1 FM, founded in 1986. La Boca also enjoys some of the city’s best candombe groups and murgas (music and dance troops) highlighting the mark early Afro-Argentines left on the neighborhood. Community gardens, with participation levels that wax and wane from season to season, are dotted on abandoned plots throughout the neighborhood. If you’d like to check out La Boca on a safe and fun tour, see our walking and bike tours or get in touch via our contact form.